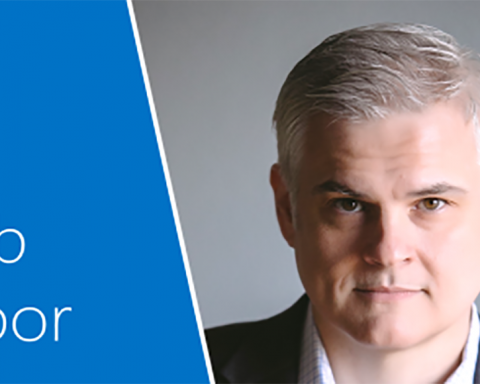 .NET Core 1.0 is a major new investment in the future of .NET and laying the foundation for decades to come. Still, it is in its early stage, and for some time you might still focus .NET Framework 4.6 depending on your application needs. But for many scenarios, especially in cloud/server scenarios, it will be the ideal framework, since .NET Core 1.0 and ASP.NET 5 have being designed from the ground-up as an optimized stack for server and cloud workloads. 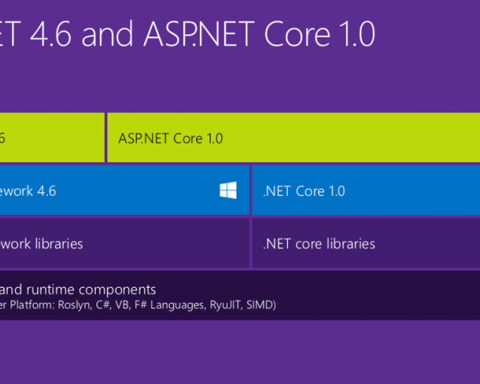 Microsoft will support .NET Core 1.0 on Windows, Linux and Mac. .NET Core is optimized around factoring concerns. 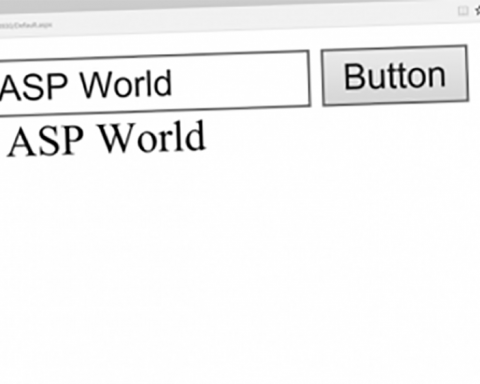 Even though the scenarios of .NET Native (initially touch based devices) and ASP.NET 1.0 (server side web development) are quite different, Microsoft has been able to provide a unified Base Class Library (BCL). The API surface area for the .NET Core BCL is identical for both .NET Native as well ASP.NET 5. At the bottom of the BCL Microsoft have a very thin layer that is specific to the .NET runtime. 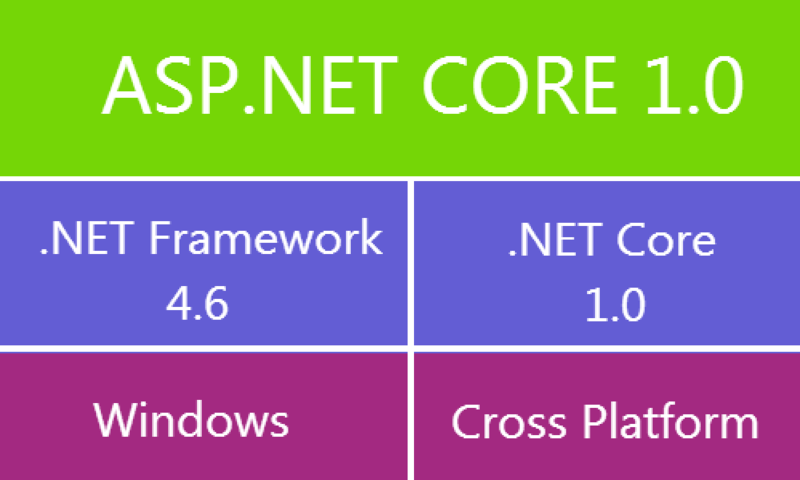 Microsoft have currently two implementations: one is specific to the .NET Native runtime and one that is specific to CoreCLR, which is used by ASP.NET 5. The majority of the BCL are pure MSIL assemblies that can be shared as-is. In order to continue our effort of being modular and well factored Microsoft don’t just provide the entire .NET Core platform as a single NuGet package. Instead, it’s a set of fine grained NuGet packages. For the BCL layer, Microsoft will have a 1-to-1 relationship between assemblies and NuGet packages. NuGet allows us to deliver .NET Core in an agile fashion. So if Microsoft provide an upgrade to any of the NuGet packages, you can simply upgrade the corresponding NuGet reference. The NuGet based delivery also turns the .NET Core platform into an app-local framework. The modular design of .NET Core ensures that each application only needs to deploy what it needs. Microsoft is also working on enabling smart sharing if multiple applications use the same framework bits. However, the goal is to ensure that each application is logically having its own framework so that upgrading doesn’t interfere with other applications running on the same machine. 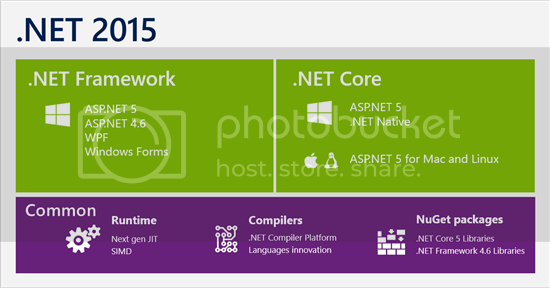 Let see how the .NET platform was packed in the past. When Microsoft originally shipped the .NET Framework in 2002 there was only a single framework. Shortly after, Microsoft released the .NET Compact Framework which was a subset of the .NET Framework that fit within the footprint of smaller devices, specifically Windows Mobile. The compact framework was a separate code base from the .NET Framework. It included the entire vertical: a runtime, a framework, and an application model on top. Since then, Microsoft have repeated this sub setting exercise many times: Silverlight, Windows Phone and most recently for Windows Store. This yields to fragmentation because the .NET Platform isn’t a single entity but a set of platforms, owned by different teams, and maintained independently. During the Windows 8 era Microsoft came up with a plan to deal with this problem. When Microsoft designed the Windows Store profile Microsoft introduced a new concept to model the sub-setting in a better way: contracts. The idea of contracts is to provide a well factored API surface area. Contracts are simply assemblies that you compile against. In contrast to regular assemblies contract assemblies are designed around proper factoring. Microsoft deeply care about the dependencies between contracts and that they only have a single responsibility instead of being a grab bag of APIs. Contracts version independently and follow proper versioning rules, such as adding APIs results in a newer version of the assembly. Microsoft is using contracts to model API sets across all verticals. The verticals can then simply pick and choose which contracts they want to support. The important aspect is that verticals must support a contract either wholesale or not at all. In other words, they can’t subset the contents of a contract. This allows reasoning about the API differences between verticals at the assembly level, as opposed to the individual API level that Microsoft had before. This aspect enabled us to provide a class library experience that can target multiple verticals, also known as portable class libraries. However, Microsoft still have different implementations – or forks – of the .NET platform. Those implementations are owned by different teams, version independently, and have different shipping vehicles. This makes unifying API shape an ongoing challenge: APIs are only portable when the implementation is moved forward across all the verticals but since the code bases are different that’s fairly expensive and thus always subject to (re-)prioritization. And even if Microsoft could do a perfect job with converging the APIs: the fact that all verticals have different shipping vehicles means that some part of the ecosystem will always lag behind. A much better approach is unifying the implementations: instead of only providing a well factored view, Microsoft should provide a well factored implementation. 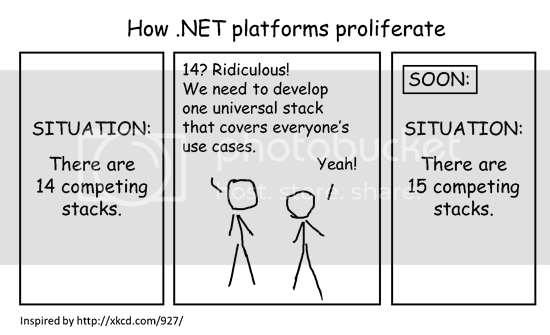 This would allow verticals to simply share the same implementation. Convergence would no longer be something extra; it’s achieved by construction. Of course, there are still cases where Microsoft may need multiple implementations. A good example is file I/O which requires using different technologies, based on the environment. However, it’s a lot simpler to ask each team owning a specific component to think about how their APIs work across all verticals than trying to retroactively providing a consistent API stack on top. That’s because portability isn’t a something you can provide later. For example, .NET file APIs include support for Windows Access Control Lists (ACL) which can’t be supported in all environments. The design of the APIs must take this into consideration, and, for instance, provide this functionality in a separate assembly that can be omitted on platforms that don’t support ACLs. For one, it’s complicated for application developers to take a dependency on a recently released framework. You either have to take a dependency on the latest OS or provide an application installer that is able to install the .NET Framework when the application is installed. If you’re a web developer, you might not even have this option as the IT department tells you which version you’re allowed to use. And if you’re a mobile developer you really don’t have choice but the OS you target. Hold on – isn’t Microsoft saying that our upgrades are highly compatible? And Microsoft take compatibility extremely seriously. Microsoft have rigorous reviews for any changes made to the .NET Framework. And for anything that could be a breaking change Microsoft have dedicated reviews to investigate the impact. Microsoft run a compat lab where Microsoft test many popular .NET applications to ensure that Microsoft don’t regress them. Microsoft also have the ability to tell which .NET Framework the application was compiled against. This allows us to maintain compatibility with existing applications while providing a better behavior for applications that opted-into targeting a later version of the .NET Framework. Due to these issues, it takes us a while to release a new version of the .NET Framework. And the more drastic the change, the more time Microsoft need to bake it. This results in the paradoxical situation where our betas are already fairly locked down and Microsoft have pretty much unable to take design change requests. Two years ago, Microsoft have started to ship libraries on NuGet. Since Microsoft didn’t add those libraries to the .NET Framework Microsoft refer to them as “out-of-band”. Out-of- band libraries don’t suffer from the problem Microsoft just discussed because they are application-local. In other words, the libraries are deployed as if they were part of your application. This enables us to release updates in a much more agile fashion. NuGet also provides the notion of preview versions which allow us to release bits without yet committing on a specific API or behavior. This supports a workflow where Microsoft can provide you with our latest design and – if you don’t like it – simply change it. A good example of this is immutable collections. It had a beta period of about nine months. Microsoft spend a lot of time trying to get the design right before Microsoft shipped the very first version. Needless to say that the final design – thanks to the extensive feedback you provided – is way better than the initial version. When Microsoft designed .NET Native it was clear that Microsoft can’t use the .NET Framework as the foundation for the framework class libraries. That’s because .NET Native essentially merges the framework with the application, and then removes the pieces that aren’t needed by the application before it generates the native code. As I explained earlier, the .NET Framework implementation isn’t factored which makes it quite challenging for a linker to reduce how much of the framework gets compiled into the application – the dependency closure is just too large. .NET Core is essentially a fork of the NET Framework whose implementation is also optimized around factoring concerns. 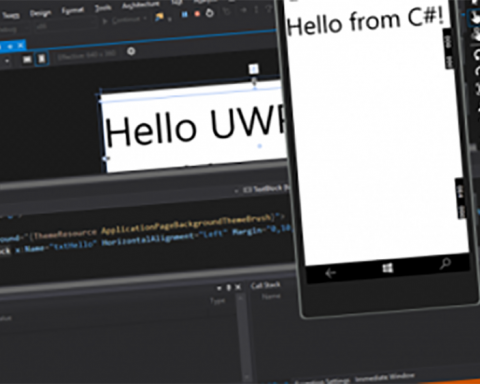 Even though the scenarios of .NET Native (touch based devices) are quite different, Microsoft were able to provide a unified Base Class Library (BCL). The API surface area for the .NET Core BCL is identical for Native. At the bottom of the BCL Microsoft have a very thin layer that is specific to the .NET runtime. Microsoft have currently two implementations: one is specific to the .NET Native runtime and one that is specific to Core-CLR, which is used by ASP.NET 5. However, that layer doesn’t change very often. It contains types like String and Int32. The majority of the BCL are pure MSIL assemblies that can be shared as-is. In other words, the APIs don’t just look the same – they share the same implementation. For example, there is no reason to have different implementations for collections. Microsoft think of .NET Core as not being specific to .NET Native – the BCL and the runtimes are general purpose and designed to be modular. As such, it forms the foundation for all future .NET verticals. In contrast to the .NET Framework, the .NET Core platform will be delivered as a set of NuGet packages. Microsoft have settled on NuGet because that’s where the majority of the library ecosystem already is. For the BCL layer, Microsoft will have a 1-to-1 relationship between assemblies and NuGet packages. In addition, Microsoft have decided to use semantic versioning for our assembly versioning. The version number of the NuGet package will align with the assembly version. The NuGet based delivery also turns the .NET Core platform into an app-local framework. The modular design of .NET Core ensures that each application only needs to deploy what it needs. Microsoft have also working on enabling smart sharing if multiple applications use the same framework bits. However, the goal is to ensure that each application is logically having its own framework so that upgrading doesn’t interfere with other applications running on the same machine. Our decision to use NuGet as a delivery mechanism doesn’t change our commitment to compatibility. Microsoft continue to take compatibility extremely seriously and will not perform API or behavioral breaking changes once a package is marked as stable. However, the app-local deployment ensures that the rare case where a change that is considered additive breaks an application is isolated to development time only. In other words, for .NET Core these breaks can only occur after you upgraded a package reference. 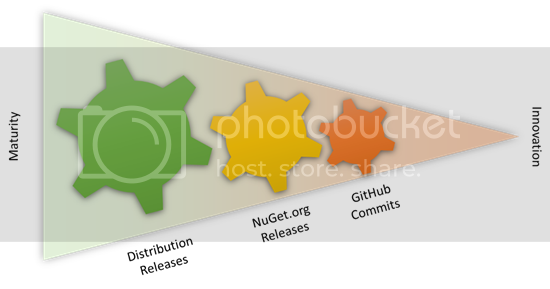 In that very moment, you have two options: addressing the compat glitch in your application or rolling back to the previous version of the NuGet package. But in contrast to the .NET Framework those breaks will not occur after you deployed the application to a customer or the production server. The NuGet deployment model enables agile releases and faster upgrades. However, Microsoft don’t want to compromise the one-stop-shop experience that the .NET Framework provides today. One of the great things of the .NET Framework is that it ships as a holistic unit, which means that Microsoft tested and supports all components as a single entity. For .NET Core Microsoft will provide the same experience. 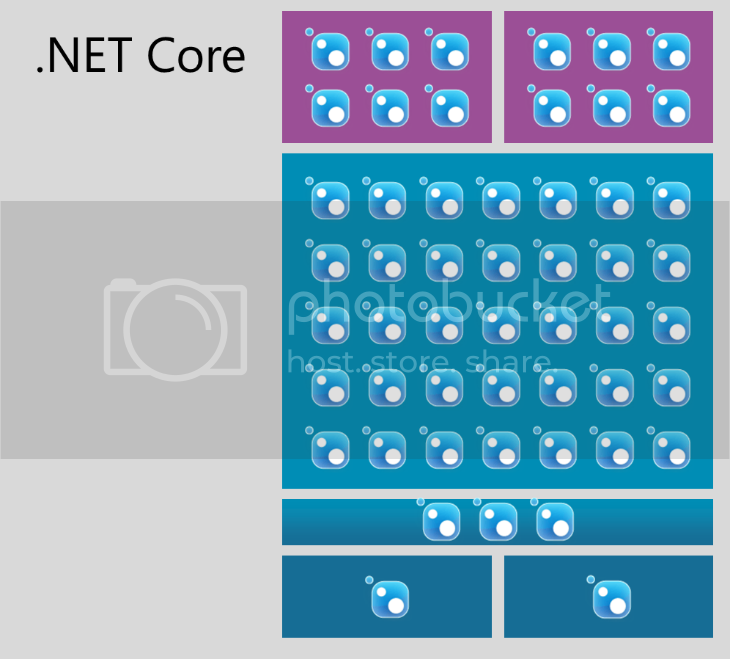 Microsoft will create the notion of a .NET Core distribution. This is essentially just a snapshot of all the packages in the specific version Microsoft tested them. Microsoft expect distributions to be shipped at a lower cadence than individual packages. Microsoft are currently thinking of up to four times a year. This allows for the time it will take us to run the necessary testing, fixing and sign off. While app-local deployment is great for isolating the impact of taking dependencies on newer features it’s not appropriate for all cases. Critical security fixes must be deployed quickly and holistically in order to be effective. Microsoft are fully committed to making security fixes as Microsoft always have for .NET. In order to avoid the compatibility issues Microsoft have seen in the past with centralized updates to the .NET Framework it’s essential that these only target the security vulnerabilities. Of course, there is still a small chance that those break existing applications. That’s why Microsoft only do this for truly critical issues where it’s acceptable to cause a very small set of apps to no longer work rather than having all apps run with the vulnerability. In order to take .NET cross platform in a sustainable way Microsoft decided to open source .NET Core. From past experience Microsoft understand that the success of open source is a function of the community around it. A key aspect to this is an open and transparent development process that allows the community to participate in code reviews, read design documents, and contribute changes to the product. Of course, certain components, such as the file system, require different implementations. The NuGet deployment model allows us to abstract those differences away. Microsoft can have a single NuGet package that provides multiple implementations, one for each environment. However, the important part is that this is an implementation detail of this component. All the consumers see a unified API that happens to work across all the platforms. Microsoft believe its found a good balance between laying the foundation for the future while maintaining great interoperability with the existing stacks. I’ll go into more detail by looking at several of these platforms. 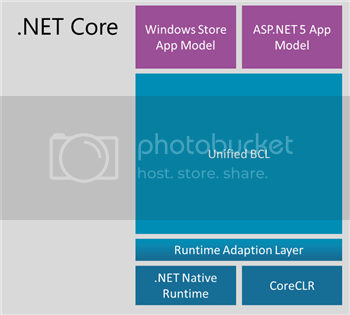 Long thing short; The .NET Core platform is a new .NET stack that is optimized for open source development and agile delivery on NuGet. Microsoft is working with the Mono community to make it great on Windows, Linux and Mac, and Microsoft will support it on all three platforms. Microsoft is retaining the values that the .NET Framework brings to enterprise class development. Microsoft will offer .NET Core distributions that represent a set of NuGet packages that Microsoft tested and support together. Visual Studio remains your one- stop-shop for development. Consuming NuGet packages that are part of a distribution doesn’t require an internet connection. Microsoft acknowledge our responsibility and continue to support shipping critical security fixes without requiring any work from the application developer, even if the affected component is exclusively distributed as NuGet package. 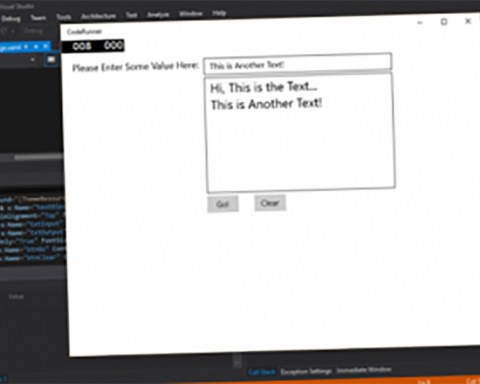 Latest from Microsoft Visual C#.